for $1,100,000 with 4 bedrooms and 3 full baths, 1 half bath. 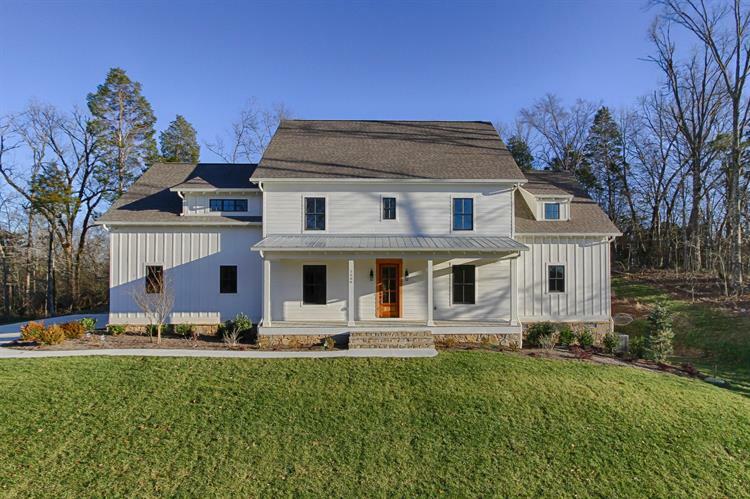 This 4,900 square foot home was built in 2018 on a lot size of 1.00 Acre(s). New construction! Two story farm house boasting beautiful hardwoods, custom lighting, exposed beams, stone fireplace, gourmet kitchen and more! Main level master suite with vaulted ceiling, luxurious bath and huge walk in closet. Three additional bedrooms and bonus room on the upper level. Three car garage, laundry room on each floor, tons of storage. Tucked away in Riverbend yet minutes from Peninsula Club, Duncan Boat Dock, Sequoyah Elementary and all the Bearden has to offer!